The proven SonicOS architecture is at the core of every Dell SonicWALL firewall, from the SuperMassive™ E10800 to the TZ 100. SonicOS uses deep packet inspection technology in combination with multi-core, specialised security microprocessors to deliver application intelligence, control, real-time visualisation, intrusion prevention, high-speed virtual private networking (VPN) technology and other robust security features. Provide granular control and real-time visualisation of applications to prioritise bandwidth and ensure maximum network security and productivity, regardless of port or protocol. Ensure your network is protected from internal and external attacks as well as application vulnerabilities, regardless of file size or the amount of concurrent traffic. Establish a secure and extensive VPN that is easy to manage and administer, and offers remote access and management capabilities for any size organisation. Optimise security, manage growth, ease administration and gain insight into application traffic, bandwidth and threats. Ensure business continuity through enterprise-level redundancy and disaster recovery features. See our list of supported 3G/4G PC cards, USB devices and wireless service providers. Protect your organisation with highly effective intrusion prevention, anti-malware, content/URL filtering and application control provided by Dell’s business-grade SonicWALL TZ Series Unified Threat Management (UTM) firewalls. Eliminate network bottlenecks and increase productivity while also providing secure access to a broad range of mobile devices, including laptops, smartphones and tablets. Confidently deploy this secure, sophisticated small-business firewall appliance in a wide range of organisations, such as retail, branch/remote offices or home offices. With a SonicWALL TZ Series firewall, you can be assured your wired and wireless networks are protected by a secure, sophisticated and widely deployed security platform. These affordable firewalls let small businesses and home offices take full advantage of high-speed broadband, without compromising the highly effective protection needed to stop cyber attacks. Regardless of the size of your organisation, the TZ400 delivers big-business protection. For distributed enterprises with remote offices, all TZ products can be managed locally through the intuitive GUI in SonicOS or at the central office using SonicWALL GMS. The TZ500 offers a no-compromise approach to securing growing networks. For distributed enterprises with remote offices, all TZ Series firewalls can be managed locally through the intuitive GUI in SonicOS or at the central office using a larger SonicWALL firewall and GMS. The TZ600 offers enterprise-class features and uncompromising performance. For distributed enterprises with remote offices, all TZ Series firewalls can be managed locally through the intuitive GUI in SonicOS or at the central office using Dell SonicWALL GMS. Build your secure, high-speed wireless network. Rapidly deploy and manage your 802.11 wireless networks while securing wireless traffic and optimising performance with the SonicPoint Wireless Access Point Series. Combine high-performance SonicPoint Series 802.11ac wireless access points with industry-leading SonicWALL firewalls to achieve wired-like network security and performance on your wireless network. Building a secure, high-performance wireless network doesn’t have to be expensive. Dell SonicPoint N2 wireless access points feature high-speed 802.11n wireless connectivity, dual radios and all the other advantages that Dell SonicWALL wireless network security solutions offer, in a cost-effective solution. Extend your network with secure, high-speed wireless. The Dell SonicPoint ACi wireless access point combines 802.11ac wireless performance, proven security, internal antennas and dimmable LEDs for discreet wireless networking environments. Take advantage of superior wireless network performance without sacrificing security. 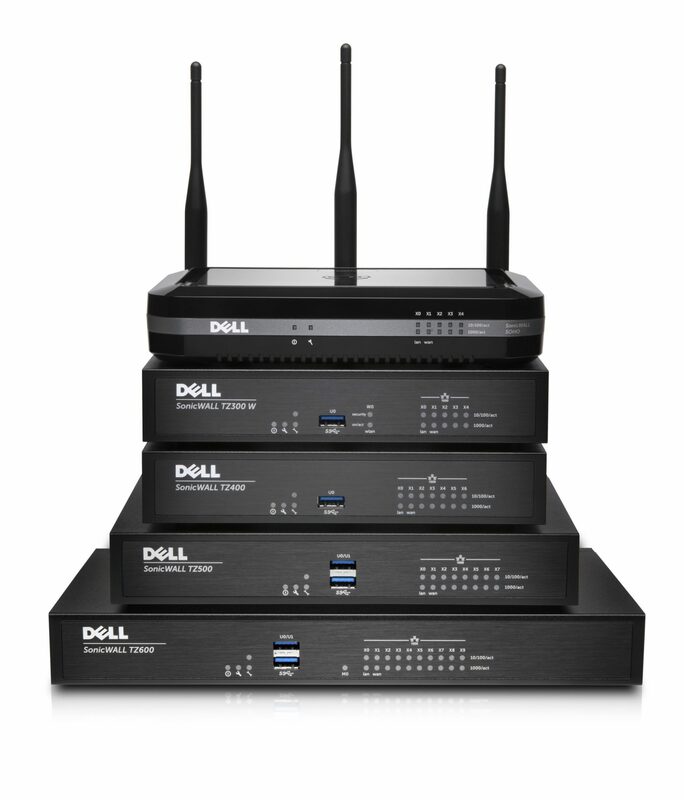 Dell SonicPoint ACe wireless access points use 802.11ac technology to provide high-speed wireless connectivity. Easily set up and manage all your SonicPoints from a single location. Achieve a deeper level of security with the SonicWALL Network Security Appliance (NSA) Series of next-generation firewalls. NSA Series appliances integrate automated and dynamic security capabilities into a single platform, combining the patented, SonicWALL Reassembly Free Deep Packet Inspection (RFDPI) firewall engine with a powerful, massively scalable, multi-core architecture. Now you can block even the most sophisticated threats with an intrusion prevention system (IPS) featuring advanced anti-evasion capabilities, SSL decryption and inspection, and network-based malware protection that leverages the power of the cloud. Easily deploy and manage an array of advanced, flexible networking and configuration features in a wide variety of environments, with the accessible, affordable SonicWALL NSA 250M business firewall appliance. Designed for growing small businesses, branch offices and school campuses, it blocks intrusions, malware and access to untrusted websites. Includes secure remote access, site-to-site VPN and WAN failover/load balancing. Take network security to the next level. The NSA 4600 firewall appliance offers 6 Gbps throughput and up to 1,000 VPN clients, with the lowest latency and most concurrent connections in its class. Next-gen security and high performance for small or medium-size organisations. The NSA 5600 next-gen firewall offers low latency, high connections per second, 9 Gbps throughput and up to 4,000 VPN clients. Uncompromising security and performance for emerging large organisations. The NSA 6600 network security appliance delivers best-in-class protection, speed and scalability with 12 Gbps throughput and up to 6,000 VPN clients. Get uncompromising high-performance firewall protection. Now your business can deliver deep security to detect and block the most sophisticated threats before they can enter your network, with the SonicWALL SuperMassive 9000 Series next-generation firewall (NGFW). Plus, you can minimise latency for every connection on your network and gracefully handle traffic spikes even on the most demanding enterprise networks, using a scalable, high-density, multi-core, high-performance firewall architecture. At the same time, you can save rack space and lower power and cooling costs with this elegant, one-rack-unit appliance. Establish enterprise firewall security, performance & scalability. Deliver deep security scaled to the largest of networks — at multi-gigabit speeds — with SonicWALL SuperMassive E10000 Series next-generation firewalls. Culminating years of research and development, the SuperMassive E10000 Series is field-upgradable to grow with the needs of data centres, carriers and service providers. You get industry-leading intrusion prevention, malware protection, SSL decryption, SSL inspection and application control, using a massive, multi-core enterprise firewall architecture and patented Reassembly-Free Deep Packet Inspection (RFDPI). Save on power, space and cooling (PSC) with the leading Gbps/Watt SuperMassive E10000 Series. Significantly enhance WAN performance and user experience. Eliminate performance bottlenecks from data- and file-sharing applications. By only transmitting new or changed data, Dell SonicWALL WAN Acceleration Appliance (WXA) solutions optimise the bandwidth you already have. When integrated with select Dell firewalls, WXA minimises and prioritises app traffic. Enhance WAN performance for small distributed organisations with up to 20 users while leveraging your existing infrastructure, with SonicWALL WXA 500 software. You can easily deploy this software on dedicated hardware. Reduce capital costs, and ease integration and administration, while significantly enhancing WAN application performance and the user experience for up to 360 users, with the hardened, performance-optimized SonicWALL WXA 5000 Virtual Appliance. Increase WAN application performance between distributed, branch and remote sites, and improve productivity for up to 120 users over 600 concurrent connections, using the SonicWALL WXA 2000. Boost WAN application performance between distributed, remote and branch sites, and increase productivity for up to 240 users over 1,200 concurrent connections, using the SonicWALL™ WAN Acceleration Appliance (WXA) 4000. Increase WAN application performance between distributed, remote and branch sites as well as increase productivity for up to 2,000 users over 10,000 concurrent sessions using the SonicWALL WAN acceleration software 6000 running on a Dell PowerEdge R320 server.